nova-Paper #4: “Proposals for a Reform of the Renewable Energy Directive to a Renewable Energy and Materials Directive (REMD)“ outlines several ideas on how a reform of the Renewable Energy Directive could be designed in order to allow a level playing field between energetic and material uses of biomass. The proposal is fundamentally different from the mainstream discussion since it includes a perspective of bio-based materials. The study offers six essential propospals to create a level playing field for bio-based chemicals and materials with bioenergy and biofuels in Europe. The concept of REMD would be an improtant step to eliminate the unfair competiton beetween energetic and material use of biomass. Excellent work done by Nova Institute, it is a really interesting suggestion, level playing field in all aspects. Same sustainability criterias as for competing products, not to put extra burden on bio-based products. If included in REMD, same sustainability criterias as biofuels to enable biomass suppliers to fulfill them. Difficult with different systems. Are we really serious about bio-based products? Then this is a very good suggestion. Industry needs level playing field with our competitors outside Europe. In the case of bioethanol the problem is import duties, chemical producers outside Euope can buy at world market prices but not producers within Europe. Conclusion, capacity is build outside Europe. In our value chain for locally grown plastics we need to secure feedstock for the cracker in all situations this is not possible in Europe. On the one hand Europe is screaming for more jobs, but on the other hand it seems to ignore the opportunities for hundred thousands of new jobs in the bio-based economy, despite what many politicians say about the matter. The proposal for a Renewable Energy and Materials Directive provides a number of helping hands to generate a level playing field for bio-based materials (chemicals and polymers) and bio-based energy in order to catch up with Asian and American countries on the developing bio-based economy. Our raw materials are being diverted for transportation fuels instead of use as a natural highly functional chemical intermediate being used in many different markets, generally replacing hydrocarbons or food grade fatty acids. I support the work NOVA is doing and would welcome the opportunity to participate in this forum. The nova-Institut proposal includes an excellent analysis of the present EU political bio-based economy context, where a non-level playing field exists between bio-based chemicals on one side and biofuels and bioenergy on the other. The proposal also includes very interesting ideas on how the RED can be reformed and I look forward to the debate that will follow! Michael Carus and nova-Institute have done an excellent job in relation to new innovative incentives to endorse development of bioeconomy. The current regulatory framework of the EU is not providing a level playing field for biomass valorisation for chemicals and materials. nova-Institute’s REMD proposal will ensure that biomass will be used also for more value added applications than only energy and fuels. For more than two years, nova-Institute has worked on a “Proposals for a Reform of the Renewable Energy Directive to a Renewable Energy and Materials Directive (REMD)”. 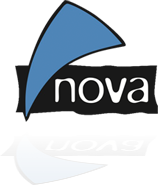 Today we proudly present our nova paper #4. If you would like to support or comment on our paper, please use this page.